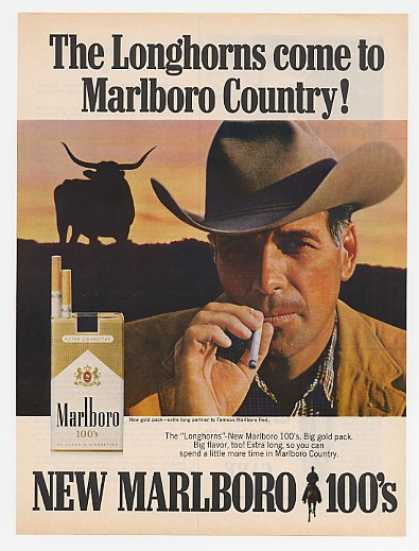 In this batch of three ads for the week, I found an ad for Marlboro Reds 100s when they first came out in '67. I still remember seeing those gold packs for Red 100s as late as '97! 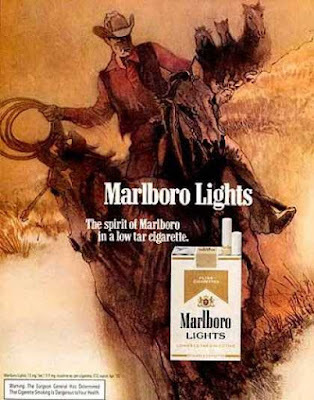 I also found a Marlboro Lights ad from '72. The same year when MLs were introduced in general. 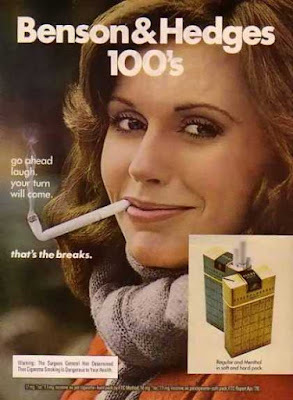 The other ad is a Benson and Hedges ad from the 70s. From the days when PM had the "bent" BHs within the ads. 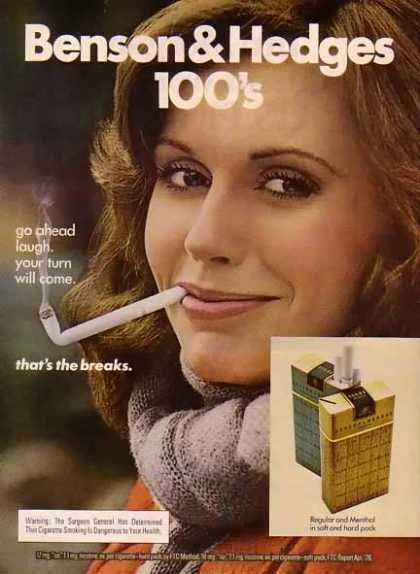 In the 80s, PM changed the BH slogan to "For people who like to smoke.." and stopped the "America's Favorite Cig Break" campaign.